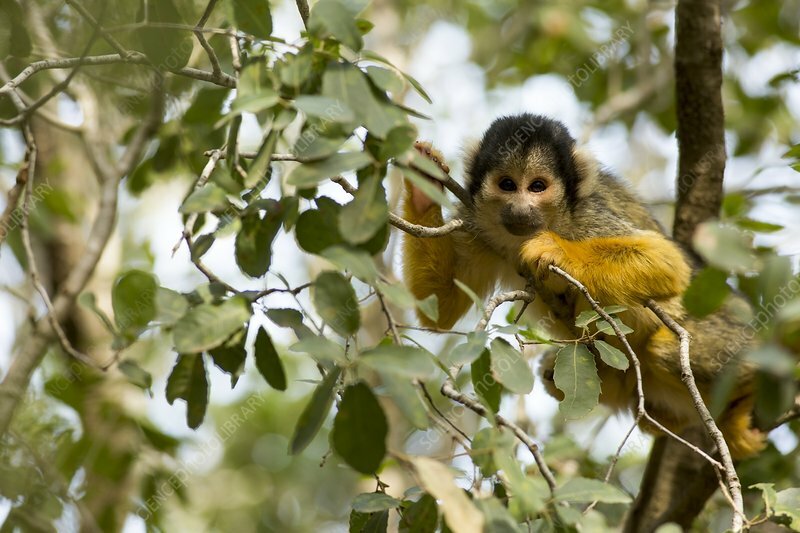 Squirrel monkey (Saimiri sciureus) in a tree. This monkey is native to tropical South and Central America. It is exclusively arboreal, and very rarely descends to the ground. Its diet consists of fruits and berries, as well as small insects, frogs and birds' eggs. It is a very small monkey, reaching a length of only 30 centimetres. Photographed in captivity.